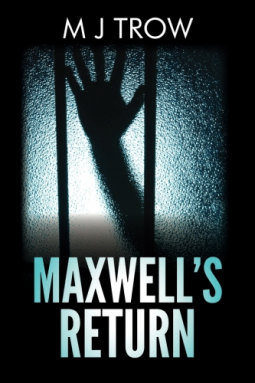 MAXWELL’S BACK, AS MURDER COMES TO SLEEPY LEIGHFORD. Are the two things connected? Well, yes and no. Teenage girls are being picked up on the seafront and two of them are found dead. DI Jacquie Carpenter-Maxwell has barely set foot on her old patch before she is up to her jet-lagged neck in somebody else’s tragedy. The prime suspect is Bernard Ryan, Deputy Head at Leighford High, and Mad Max is soon riding to the rescue on White Surrey. But can he pedal fast enough before another girl meets the wrong man, at the wrong time, in the wrong place? The eighteenth in the Peter Maxwell series, after the family sabbatical in LA, shows that the old sleuthing skills are still there with a vengeance and that the Maxwells are one of the most formidable crime-fighting duos in modern crime fiction. Thank you Net galley. This is a new author for me and I loved the book. Funny and a very relaxing read.